Many scientists agree the key to maintaining the biodiversity and ecological integrity of the Tongass National Forest is to protect the region’s high-value salmon-producing watersheds – entire drainages that stretch from ridge top to ridge top and from river headwaters to river mouths. Representing the “best of the best” in each of 14 biogeographic provinces, the Tongass 77 watersheds are spread out across a wide swath of the Tongass National Forest. Biogeographic provinces reflect natural variability in climate, physiography, and species distributions throughout the islands and mainland of Southeast Alaska. 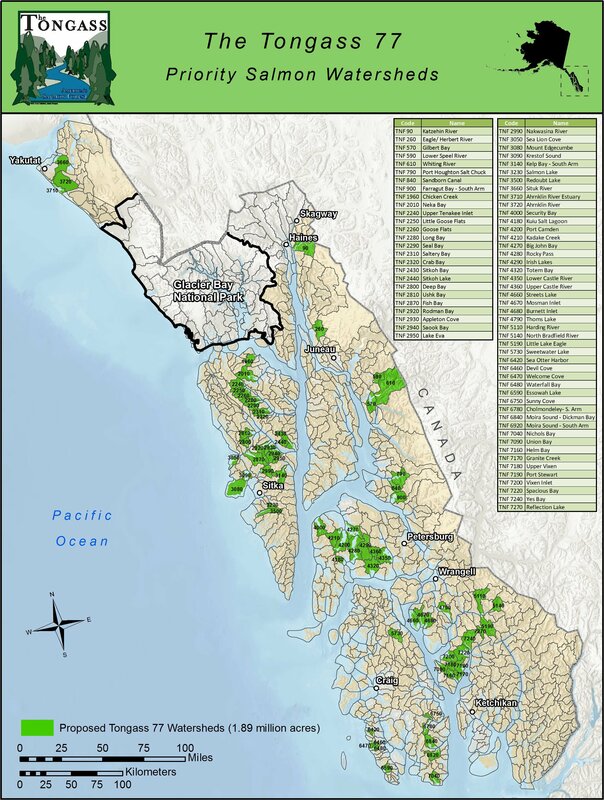 14 of the 22 biogeographic provinces in the Tongass are represented in the list of over 70 high-value watersheds. Based on their outstanding fish habitat, the highest and best use for these watersheds should be for the production of salmon and trout. Approximately 35 percent of salmon and trout habitat is conserveded at the watershed scale on about 40 percent of the land base of the Tongass National Forest. 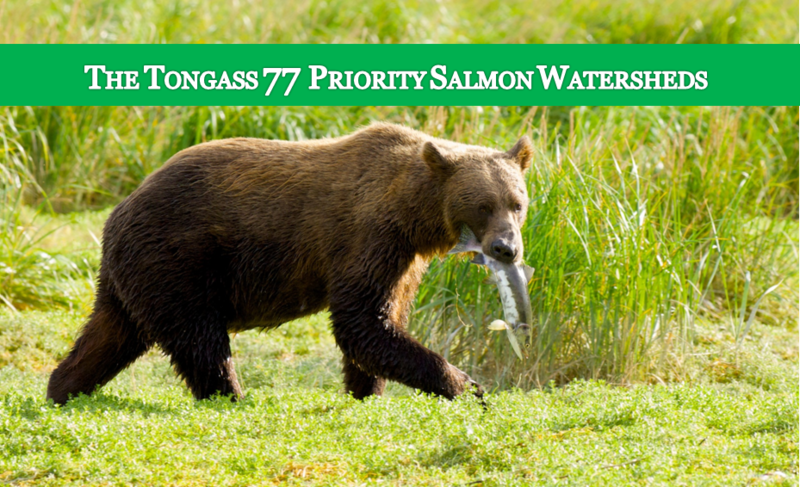 At just under 1.9 million acres combined, these high-value salmon and trout watersheds represent only 11 percent of the Tongass land base, but include about 23 percent of the total salmon and trout habitat of the Tongass National Forest. 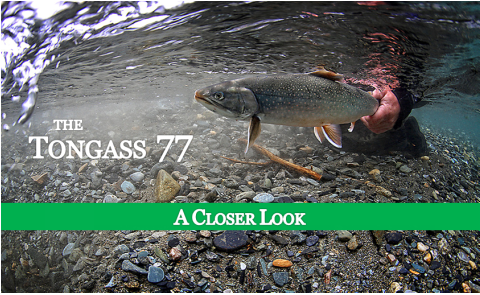 Why the Tongass 77 watersheds are the "Best of the Best"
A study commissioned by Trout Unlimited and released in 2011 finds that Southeast Alaska’s healthy salmon and trout populations contributed nearly $1 billion to the regional economy and accounted for close to 11 percent of regional jobs in 2007. According to a recent poll by The Nature Conservancy, 96 percent of Alaskans surveyed in 2011 said salmon are essential to their way of life, and 97 percent said salmon are an important part of the Alaskan economy. Even in tough economic times, 89 percent of respondents said it is important to maintain funding for salmon conservation.